Community involvement and support have been hallmarks of Samaritan’s service since 1980. Now, more than three decades later, Samaritan offers many ways to become involved in our mission here and around the world. Volunteer: No experience needed! Samaritan offers a broad range of volunteer roles — and the training to prepare you. African Global Partnership: Samaritan is one of only 93 hospices in the country to partner with a hospice in Sub-Saharan Africa to bring the comfort of palliative care to those suffering with HIV/AIDs, Cancer and Tuberculosis. The Samaritan Timely Conversations Initiative builds awareness for the benefits of making your wishes known to your family before a medical crisis hits. Speaker’s Bureau: Access to Samaritan’s many services begins with awareness and education. Schedule a Samaritan speaker for your community or professional group. Individual, Corporate, Foundation Support: By supporting Samaritan’s not-for-profit charitable mission, you help ensure that those who need our help receive it without regard to their ability to pay. If you’re looking for more ways to get involved with the South Jersey community, here’s a list of other non-profit organizations offering community involvement opportunities. 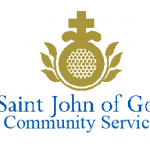 Located in Westville, NJ, St. John of God (SJOG) provides education, therapeutic and vocational programs for people with disabilities and community childcare. SJOG is a nonprofit organization offering volunteer and giving opportunities, plus resources for parents. Servicios Latinos provides social services to the Hispanic community in Burlington County. SEL-BUC assists clients with multiple services which include, assistance with interpreting letters, seeking employment, and housing, and any kind of translation or interpreting assistance they may need. They offer English as a Second Language (ESL) classes, health workshops, BIA accredited immigration services and legal related services, youth programs, domestic violence and victim of crime assistance, and more. JFCS serves the South Jersey community by providing affordable and accessible social services such as family assistance and food pantries, assistance for seniors 60 years and older, Holocaust Survivor Assistance Program, and a Special Needs program for individuals with disabilities. JFCS is a nonprofit social service agency offering volunteer and giving opportunities. The ICC in Marlton serves the community by hosting a variety of activities such as yoga, iBhangra, and Anuradha Datla dance class, SAT class, and more. Plus, there is also a rental space for banquets, weddings, and other events. The ICC also provides connections to other associated organizations like the India Temple Association and Hindu Senior Citizens of South Jersey. 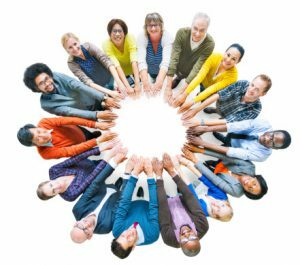 The Volunteer Center of Burlington County is dedicated to helping individuals and groups find volunteer work that is most suitable to their interests, skills, abilities, location, schedule and age. Volunteer opportunities range from animal care or arts to faith-based or historic to hospice or tutoring. CFSJ helps South Jersey residents harness the power of philanthropy to transform their community by helping donors create funds and leverage their giving for greater impact. Through their Proven & Promising program, residents can make prudent decisions about where they give. 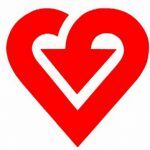 In addition to the community involvement opportunities above, Samaritan’s employees suggest organizations, in addition to Samaritan, to support through our Charitable Giving initiative.